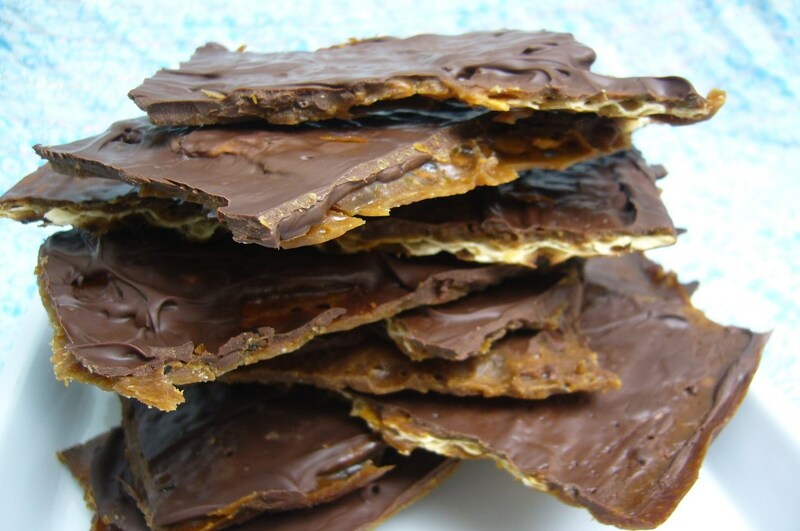 So it’s Easter Sunday, and while most people are eating their Easter eggs, I have been nibbling (okay, okay, devouring) my matzah toffee. 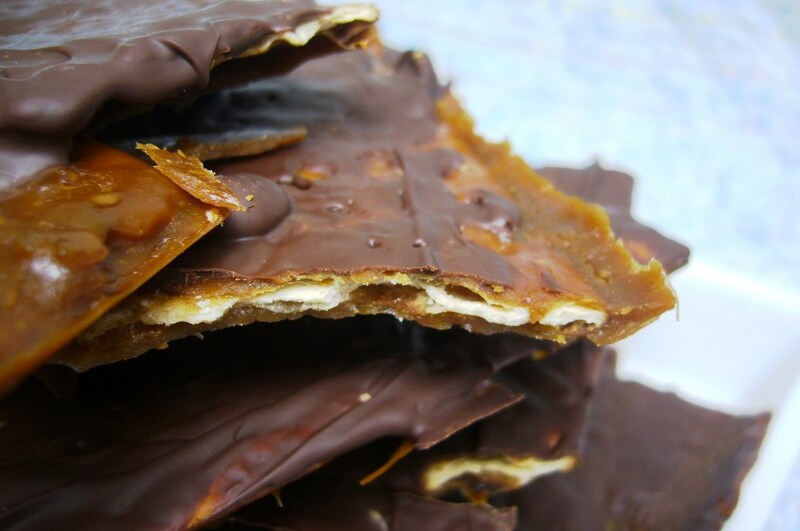 A layer of matzah covered in a layer of toffee covered in a layer of chocolate. I’d been planning to make this for weeks, ever since I found a recipe for it. A simple, quick and delicious recipe. It’s crunchy and sweet and a little bit salty all at once. During Passover, we eat lots of matzah, which is essentially a plain dry cracker that replaces all the usual foods containing wheat or other grains (and then some). This recipe jazzes up the matzah with yummy butter, sugar and chocolate. That’s my kind of treat. I used David Lebovitz’s recipe, which is simple and quick. 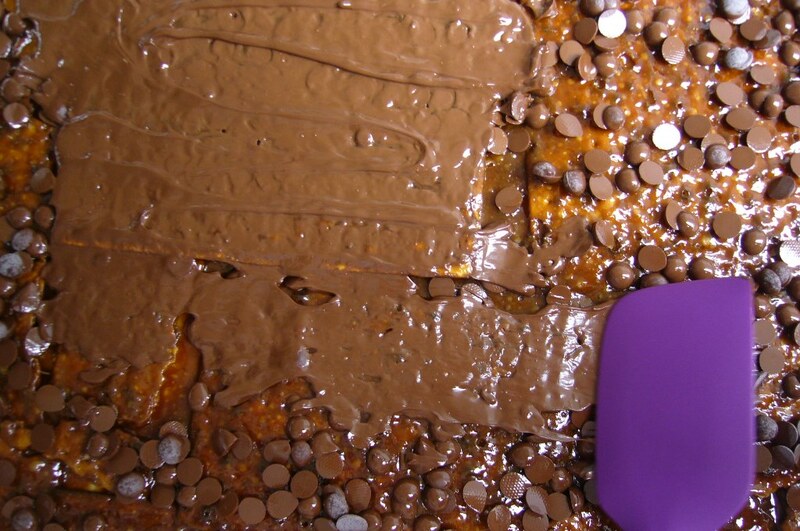 I felt pangs of guilt for using chocolate chips rather than good quality chocolate, and for just melting the chocolate and spreading it, rather than tempering it. But David said it was okay (and if it’s good enough for David Lebovitz, the accomplished pastry chef living in Paris, it’s good enough for me), so I went with it and it was delicious. In fact, this would even be tempting any time of year. Crunch crunch crunch.